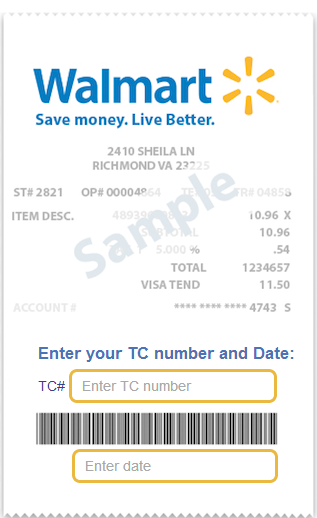 Price Matching Game Changer: Walmart Savings Catcher! This is the coolest thing I’ve ever seen. Walmart has a new Savings Catcher program that looks like it will save you BIG on every shopping trip. 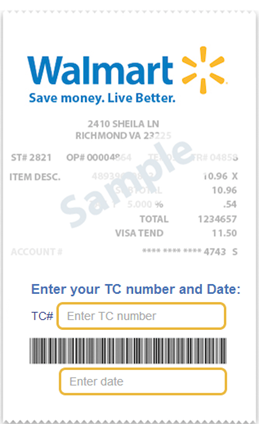 Once you buy your groceries at Walmart, head over to The Walmart Savings Catcher page and type in the receipt info requested. Walmart will automatically compare your receipt to your local ads (in select areas) and give you any difference between the Walmart price and a local competitor’s price in an eGiftcard. You can accumulate your savings for a year or use it immediately. Once you decide to redeem your eGiftCard, you will get an email with a barcode. Print it out and hand it to your cashier. It’s that easy! I’m going to write a little more about this on Tuesday but for now, let me just say how awesome this is. The 2 complaints I get most often is that it is tough to see all the ads to know what to price match and sometimes the cashiers can be a little difficult to deal with when price matching. This looks like it eliminates both those concerns. I am headed back up to Walmart now to see for myself how it works. Check back on Tuesday morning for a Walmart Shopping Secrets post outlining what I found out after I used it. For now, read the FAQ’s and here is a list of the available markets. Charlotte, NC– Aldi, Bi-Lo, CVS, Dollar General, Dollar Tree, Family Dollar, Food Lion, Harris Teeter, Ingles, Kmart, Lowes (Food), Target, Rite-Aid, Publix and Walgreens. Huntsville, AL Market– Aldi, CVS, Dollar General, Dollar Tree, Family Dollar, Save-A-Lot, Foodland, Kroger, Piggly Wiggly, Publix, Rite Aid, Target, Walgreens. DOesn’t look like it. Just in the 6 markets listed. Agree. Only in 6 states….what about Michigan, Ohio, Chicago, New York…just to name a few.